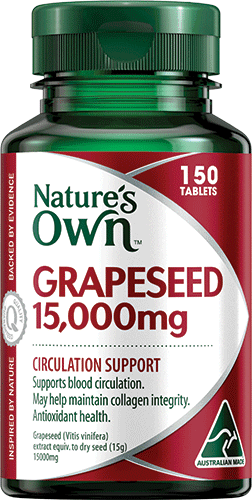 Nature's Own Grapeseed 15000mg extract contains a powerful dosage which may help support blood circulation, strengthen capillaries and may assist in the management of varicose veins or spider veins. Grapeseed is also known for its beneficial antioxidant properties that help maintain collagen integrity, support healthy connective tissue strength as well as skin elasticity. Antioxidants such as those found in Grapeseed are beneficial to overall health as they help protect the boody from free radical damage that may result in premature ageing. 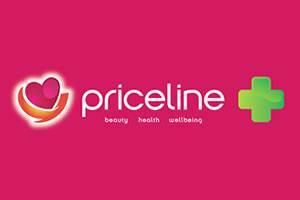 Helps support blood circulation and strengthen capillaries. Assist in the management of varicose veins and also minimising the risk of spider veins. Grapeseed has antioxidant properties and thus helps maintain collagen integrity. Supports healthy connective tissue strength as well as skin elasticity and flexibility. 2Are you experiencing an unhealthy level of stress?